In addition to flying duties, Sully will join the US Airways flight operations safety management team. Capt. Sully Sullenberger says his father's death inspired his Samaritanism. "Miracle on the Hudson” hero pilot Capt. Chesley “Sully” Sullenberger is about to take on one of his toughest assignments yet: Management. 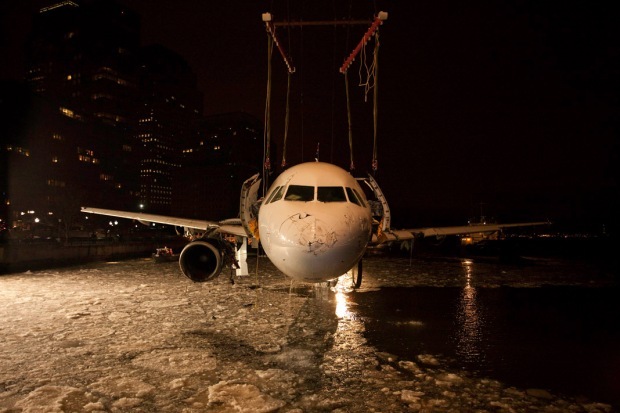 The pilot who deftly maneuvered US Airways flight 1549 to a picture-perfect landing on the frigid waters of the Hudson River in January is returning to work for the airline as a “management pilot,” the company announced Monday. "The months since January 15 have been very full, and my family and I have had some unforgettable experiences," said Capt. Sullenberger in a statement released by the airline. US Airways said there will be a separate announcement when the details of Sully’s return to flight are confirmed, but a “pre-announcement” will be posted on Twitter, of course.